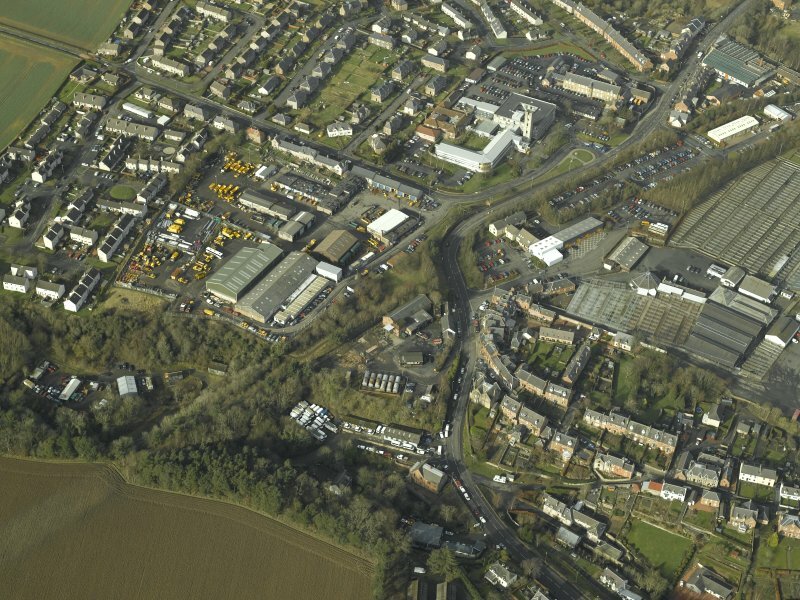 Oblique aerial view centred on the railway station, engine shed and Newtown St Boswells town, taken from the SE. 'Newtown Station' is described in the Object Name Book of the Ordnance Survey as ' A stone building two stories high comprising a Booking-Office, Post Office and Refreshment-room, the property of the North British Railway Company'. (Location cited as NT 578 315). St Boswells Station, granary. Probably c. 1849. The passenger station here has been demolished, but the railway granary, a three-storey, 3-by-6-bay building with two hoists, survives as a store. This intermediate station was opened on 20 February 1849 as Newtown Junction station and served as the junction station for branch lines to Reston, Jedburgh and Sprouston Junction. 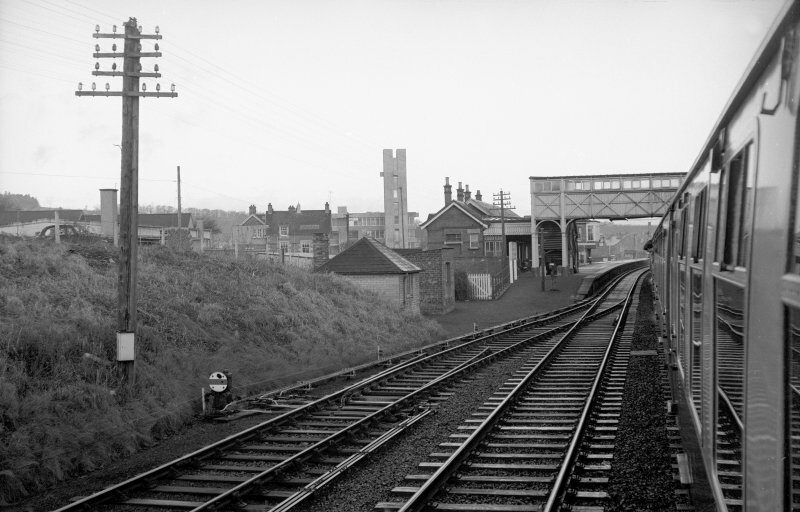 It was successively renamed New Town St Boswells station (in January 1863) and St Boswells station (on 1 March 1865), and closed to regular passenger traffic (with the line as a whole) on 6 January 1969. Part of the station platform survives adjacent to the engine shed (NT53SE 153.15), very little could be seen on the day of visit. A car park has been constructed on the northern part of the station goods yard. Part of the up platform has been noted. St Boswells was a major intermediate station on the Waverley Route. St Boswells served the branches to Earlston, Duns and Reston; Kelso and Tweedmouth and Jedburgh. Opened 1849, and was known as the Newtown Junction until 1863, and as Newtown until 1865. 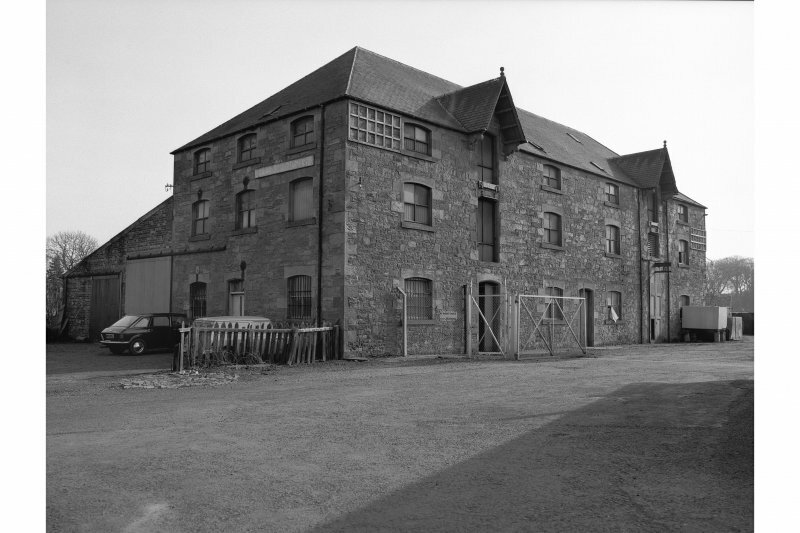 The original statioon buildings were built of random coursed rubble with a slate roof (North British architecture). The locomotive shed (adjacent to the up platform) was of similar design to the station buildings. St Boswell's South Signal Box was of brick. Evans notes that the siting of the station and buildings as the platforms as well as waiting rooms etc. were constructed partly on the bridge over the A68. The major freight traffic handled would have been livestock. The pens of the Southern Central Market were in the up yard (north of platforms) in the area within NT 5763 3163 to the north, NT 5763 3151 to the west, NT 5769 3158 to the east and NT 57703147 to the south. The main goods yard consisted of a goods shed, loading banks, end loading bank and a crane. Evans also notes that (in 1921) there existed a smaller yard to the south of the station on the up side which contained the locomotive depot and coal handling, with a stone-built, two road locomotive shed with water tower behind the turntable. The co-ordinates for the main buildings are as follows: Station Buildings NT 57726 31642; Goods Shed NT 57719 31697; Signal Boxes NT 57733 32123 and NT 57701 31655; Crane NT 57730 31726; Locomotive Shed NT 57744 31569; Turntable NT 57762 31566 and Coal Yard NT 5777 3153. Station opened 20/02/1849; closed 6/1/1969. Known as Newton Junction 1849-63 and Newtown 1863-5.